We love Amsterdam – a vibrant city of canals, culture, and more famous sites than you can shake a clog at. With this in mind, you can imagine our delight at finding not only a gorgeous central bolthole, but also one with a family-run vibe that makes it feel like staying with friends. 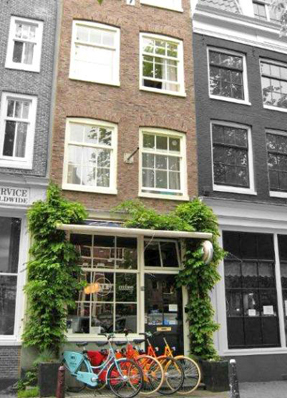 This 6-room B&B next to the iconic Nieuwmarkt is ideal for those who want a short stay in Amsterdam and don’t want to miss any of the fun. The beautifully furnished, thematic rooms sit above an informal cocktail bar (the ‘Red Light Delight’ tasted great!) 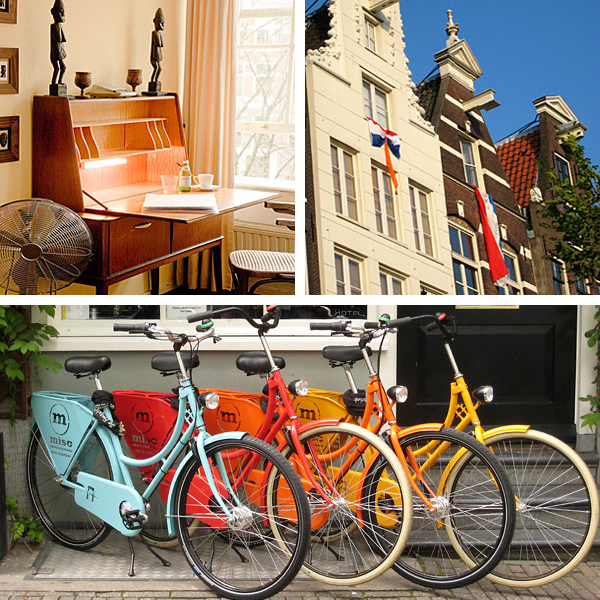 and are surrounded by quintessential Amsterdam cobbles and canals. 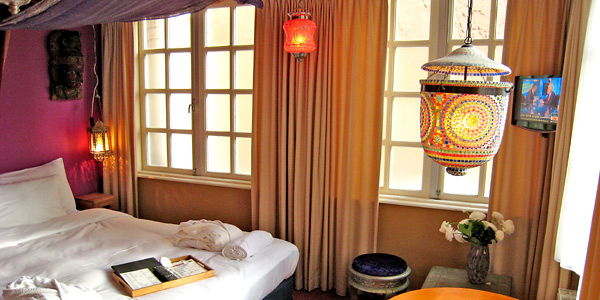 Rooms: Behind its classic 17th-century façade, the building houses 6 themed rooms that the owners have meticulously decked out with super-comfy kingsize beds, large windows and a number of spoiling extras, including Nespresso machines, flatscreen TVs and free minibars (non-alcoholic). Interiors vary, from the woven chairs and rustic wooden furniture in Afrika to the dramatic chandelier and ornate mirrors in Baroque. The 3 rooms at the front look out over the pretty canal, but if you want to avoid the noise of central Amsterdam then plump for one of the smaller but equally pretty rooms at the back, with views of the garden and rooftops. Food: This small guesthouse doesn’t offer lunch or dinner, but you can bookend your day with a lovely gastronomic treat. In the morning you’ll find a generous and delicious buffet of pastries, Dutch cheeses, bread, eggs, smoothies and fresh fruit. Come evening, you can return to the cocktail bar, whose menu offers classic Margaritas for the traditionalists and a number of adventurous specialities for those after something more unusual. As for the meals in between, you’re in a fantastic part of town and the staff will be more than happy to point you in the right direction for dinner. When to go: Any time you fancy a break. The city is pleasantly quiet during the summer months of July and August, when many of the locals are away on holiday. Or you could try a winter break for some Christmas shopping and ice skating on the frozen canals.